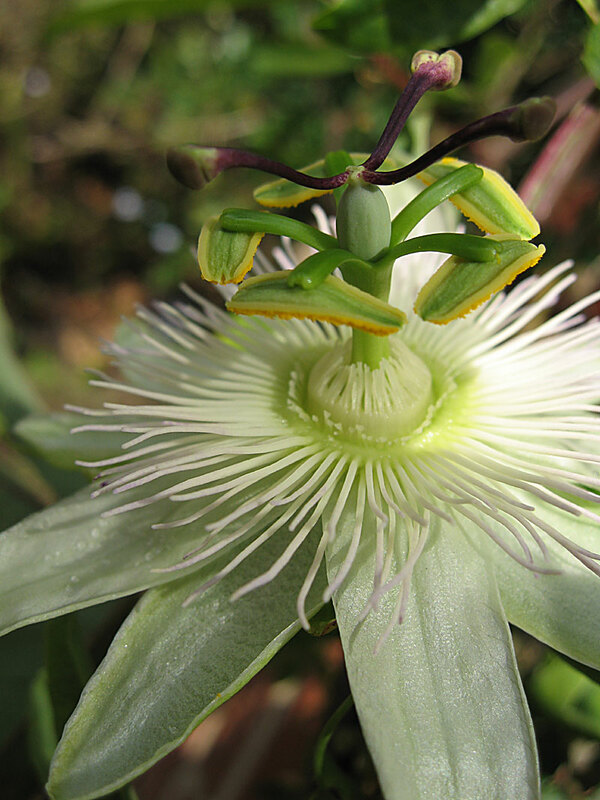 If you sow enough P. caerulea seed the odd pale blue or even white flower will come up. 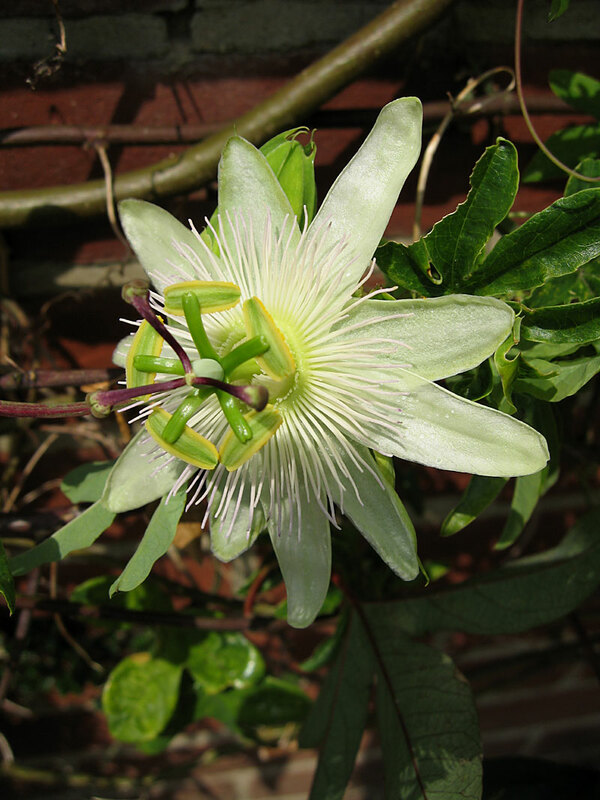 The Lucombe, Pince & Co Nursery, Exeter UK, raised Passiflora ‘Constance Eliott’ in 1884. 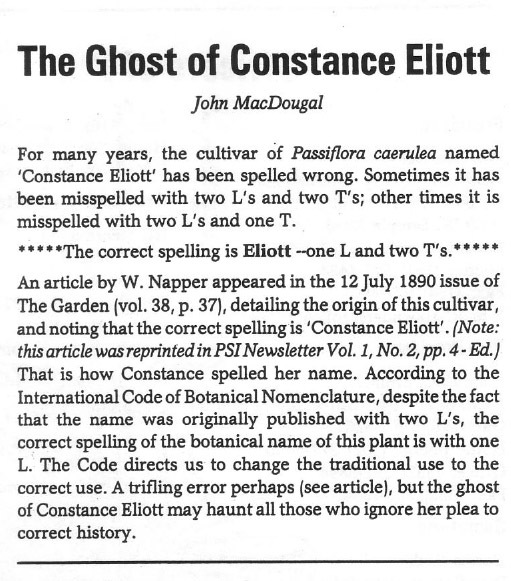 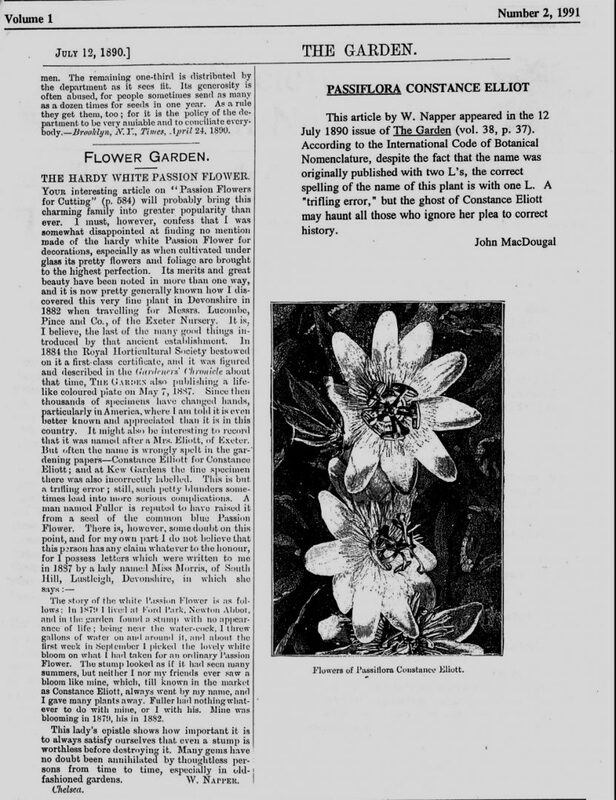 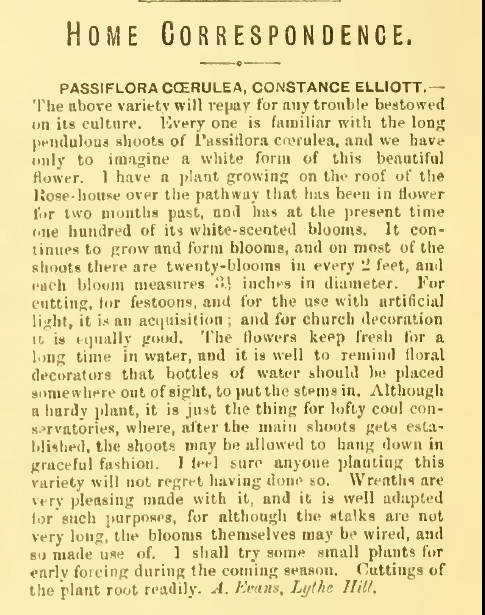 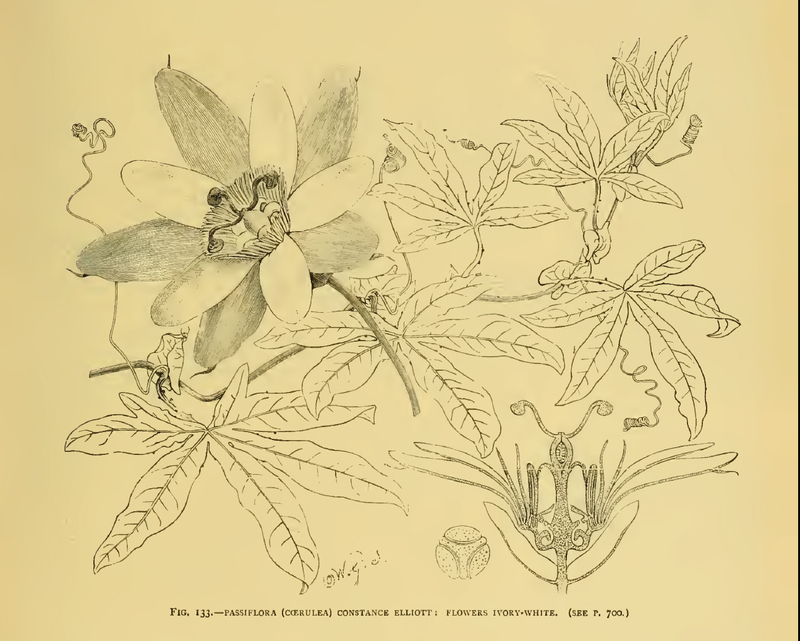 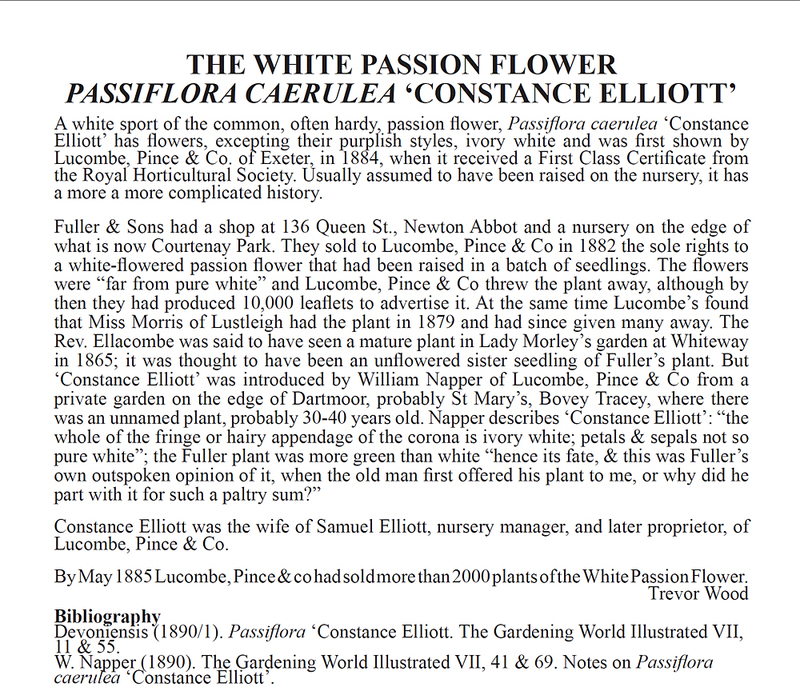 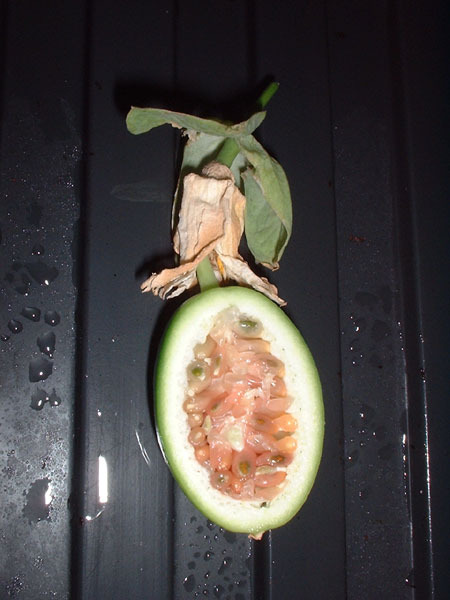 Read its fascinating history “The ghost of Constance Eliott’ in the Passiflora Online Journal Issue 5 p. 20.